A combined local authority to represent towns and cities across the West Midlands has moved a step closer after the leader of Wolverhampton City Council told MPs that work to create a regional body could begin this year. The comments from Councillor Roger Lawrence are another sign that the traditional rivalry between Birmingham and the Black Country is coming to an end. As things stand, however, the region risks being left behind as other major urban areas create combined authorities which they hope will attract investment from both central government and the private sector. Combined authorities are not directly elected and members are appointed by the existing councils in their region, which continue to operate as they did before. They can take responsibility for transport and economic development. They also have what the law calls a “general power of competence” allowing them to do anything that they believe will help them achieve their key objectives. The Localism Act 2011 also allows ministers to transfer any public function to combined authorities. This could include, for example, responsibility for skills, support for jobseekers or the ability to set variable business rates. Although the Government could, in theory, devolve these responsibilities to individual local councils, ministers have made it clear they prefer to deal with combined authorities because the type of powers councils want would affect whole regions. Coun Lawrence said the region’s “aspiration” was to create a combined authority, when he gave evidence to the Commons Local Government Committee at Westminster. The seven metropolitan authorities of Birmingham, Coventry, Dudley, Sandwell, Solihull, Walsall and Wolverhampton were forming a new regional Integrated Transport Authority and this could pave the way for a general combined authority, he said. “I think joint working in the West Midlands has improved markedly over recent years and indeed over recent months. Speaking to the Birmingham Post, Darren Cooper, leader of Sandwell Council in the Black Country, welcomed the comments, saying: “We should have a combined authority for the West Midlands metropolitan authorities, which will be a very powerful grouping of local authorities. “We need to demonstrate to people that we are together and we have lacked that for many years. “If we don’t do it, we’re going to fall behind the other regions. 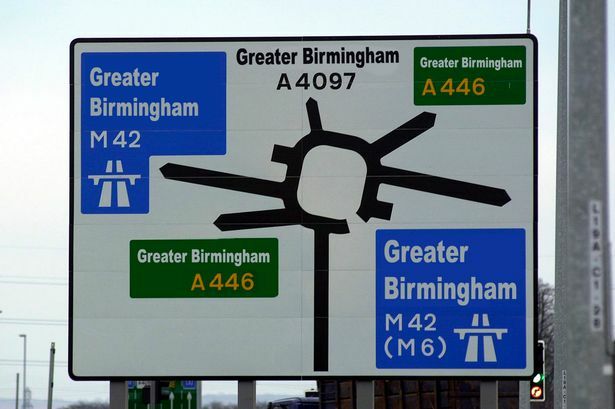 If a combined authority is formed then there is likely to be some debate about whether it should be named “Greater Birmingham”, along the lines of Greater Manchester, a concept which has been resisted by Black Country councils in the past. But it seems that even this proposal may be less controversial than it used to be. Sir Albert Bore, leader of Birmingham City Council, has long advocated greater co-operation between Birmingham and other West Midland authorities, and used his annual Budget speech to the council to call for authorities jointly to manage Government funding for transport, skills, housing and economic development which could run into billions of pounds over five years. Cities Minister Greg Clark has said he would like to see combined authorities run by “city region” mayors.